So, one glorious afternoon we convinced our wives that this was a business opportunity. This is the article they wish we would have understood clearly before taking our reptile hobby to the World Wide Web. If you have been thinking about taking your reptile hobby and turning it into a small online business, below are a few things our wives want you to consider. You will want to start out with some high end breeders. Plan on spending a good chunk of change here. You may think to yourself, “I’ll recover this cost in my first year of breeding.” So you buy from a very reputable name in the industry and you spend top dollar. But no one will be paying top dollar to you. You aren’t reputable, not yet. So plan on taking the first few years to make that money back. You are going to need to buy or build some racks, lots of them. This costs money and takes time if you decide to build. Not to mention that you will need to have the right tools or bum some off the neighbor, who, when he finds out what you are doing will think you are insane and will question whether or not he wants a reptile zoo located next door. You need to consider the type of building materials you want to use and how you will heat your enclosures. Not to mention you will need to fork out hundreds of dollars on bins and such—heat tape, thermostats, bowls, hides, vitamin trays, thermometers, etc. Guess what, plan on several Saturdays of construction. Lots of geckos need lots of food. This is a never ending expense, a big expense. The mail carriers give you odd looks every week when they drop off thousands of crickets at your house. Little do they know you are breeding your own roaches and worms in the basement. You have thousands of these things. They take as much thought and consideration to care for as your geckos. They need food and water and they need to be cleaned regularly. Maybe your kids can take that on as a side chore. But that’s cruel. Oh, and where will you store your thousands of roaches, crickets, and worms? The garage is too hot in the summer and too cold in the winter. You are left with keeping them indoors and that is going to require some space. You need a domain name, which requires a name. It will cost you to get that registered. You will need a site and will either have to pay for someone to build it and host it, get someone to build it and then pay to host it, build it and host it yourself (please, no more ugly reptile sites), or use an online system that you pay for each month (if only they will take payments in reptiles). Once you have pages you will need online tools to help you update pages with animals and information. You will also need a camera, macro lens, lighting unit, and staging set-up to take fantastic pictures of your products. Then you will need software to process picturess and get them ready for the site. Then plan on a full Saturday to take pictures and build pages every time you post a couple of dozen geckos. Did I mention that this is going to cost money—lots of money? By this I mean a business license (check to make sure you can have this kind of business where you live), business cards, a bank account, an email account, etc. It’s going to cost to keep those racks cranked 24/7. Just plan on having your bills go up a bit. The World Wide Web is worldwide. That means it’s huge and you barely exist. It’s not easy to get people to your site with so many other sites out there. You need to build your site right from the beginning by using good web site practices if you want someone to search and be able to find your site on the first few pages of results. Get a Google Webmaster Tools Account to learn how to be successful. Also, you will need some cash flow to advertise your way into better existence. The good news is you do exist. You have a site. There are also reptile forums and classifieds where you can list your animals. 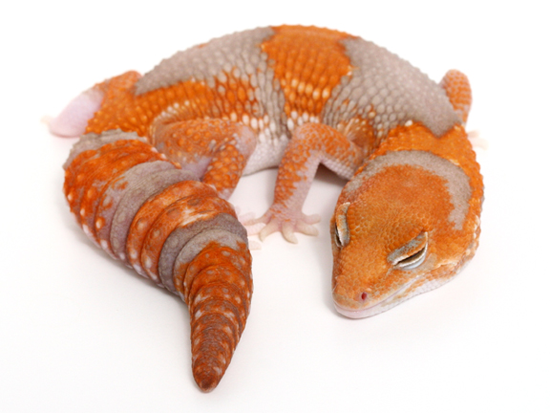 Keep in mind that this is what everyone else is doing and there are tons of geckos out there. Building name recognition is going to take time. You will not have hundreds or even dozens of daily visitors to your site, at least not at first. Sales will be low for the first few years. But you will get to know other forum members and you will begin to build some great friendships. Other breeders will check out your site occasionally and you will get some great feedback from your peers. You will also want to consider selling at a local, or far off, reptile show. This can get pricey, especially for your first few shows. There are several articles out there that talk about getting prepared for a show and what to expect. Read up and understand the costs associated with getting to the show and being prepared to vend. Then expect to make back show expenses and hope to make more. You have sold a few geckos. People have taken your card. They may even email you. Next year’s show will be even better. We all love geckos, that’s why we go through all of the above. Most people don’t get it, but we do and we love it. We love the room full of racks. We love the eggs and the hatchlings. 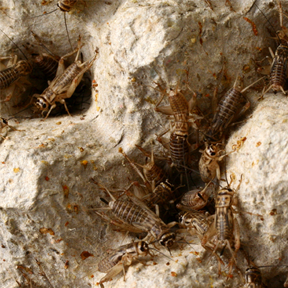 We love the crickets and the worms—not so much the roaches. We’re having fun. But that can be a caution as well. It’s so easy to over-produce. It’s so easy to think that everyone is going to want to buy what you’re selling. 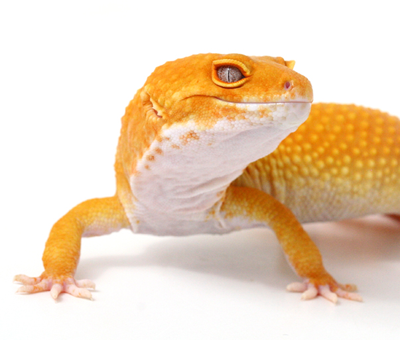 Before you grow your hobby into an out-of-control hobby (aka a gecko business), consider what you will do if you can’t sell more than a few geckos. There’s nothing like having a few hundred extra geckos lying around the house. Your friends can’t keep taking them—you don’t have that many friends. You will want to have a few local pet stores that will take some of your geckos from you after you’ve raised them for 6 months. They won’t pay very much and you will be lucky to recover the cost of food they ate since they hatched, not to mention the time you spent taking care of them—that is gone forever. But you leave with a few bucks or some store credit and you walk away hoping that some great person will come in and buy them. There are days when it doesn’t feel like work, but there are lots of times when it does. 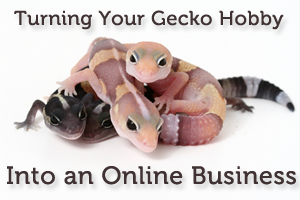 Starting a gecko business, or any business, is work. It takes time and dedication and some sacrifice. We love it and our kids love it, and when all is said and done, we are having a lot of fun doing this. 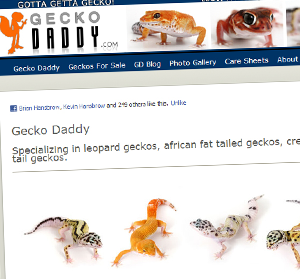 Brian Hansbrow is one of three brothers who own and operate Gecko Daddy. Brian and his brothers were born and raised in northern California and now live with their families in Utah. Brian is a project manager by day and a gecko breeder by night. 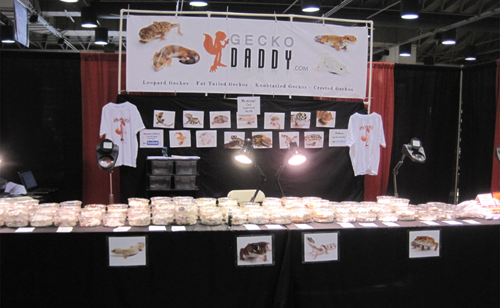 Gecko Daddy is currently working with leopard geckos, fat tail geckos, knob-tail geckos, crested geckos, and others. 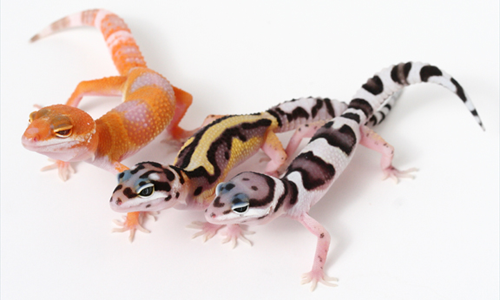 I love my leopard geckos, but I have only female ones and I have yet to find a male one on Kijiji or elsewhere. I have already started breeding superworms, regular meal worms and I am trying to breed crickets. I could use some literature on the cricket breeding. I bred them by accident once years ago and now I am having trouble purposely trying to breed them. I also have a breeding pair of Bearded Dragons that I am considering selling because it is difficult to keep them supplied with all of the different kinds of veggies and fruits that they need. I don’t shop every week and I end up with a lot of waste, at least with the geckos, if I can breed crickets and worms, that is all I need and they are fairly self sufficient and cute as a button. This is a great article. I’m just starting to breed as a hobby and I am far from making a business out of it, but this article has gotten my mind churning. Gecko Daddy has quality animals, I just recently purchased a N.levis levis from them. Its cool to see how they all got started. Great article! I’ll do all that and more. Make more posts. Sounds like you put a lot of time into your hobby. Very informative and with previous business I owned, I truly agree with everything you mention!! Nice talking with you today. Great great post! There’s not many articles out there about a start up in this community so this is a HUGE help!